As the days get shorter and the temperature begins to drop, it is evident that winter is unfortunately here. 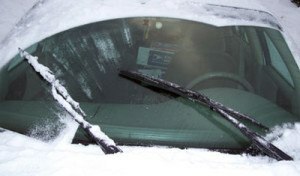 One way to make sure you successfully tackle the coldest season of the year is to make sure your car is winter ready. Doing so will help keep your vehicle in the best shape and help to prevent any mishaps this winter. Here are a few things to keep in mind as you get winter ready! Properly inflated tires can benefit you all year long. While helping to improve your fuel mileage, it also prevents unnecessary wear on your tires. Correct inflation will also reduce the chances of a flat. There is nothing worse than changing a tire on the side of the road during a winter storm. Winter means shorter days. As such you will be relying on your headlights and taillights more frequently. Making sure all your lights are working properly will be a benefit to yourself and other motorists around you. Making sure all of your fluids are at their recommended levels will ensure that your car has the necessary fluids it needs to perform at its best. This is especially important as cold weather can cause fluid levels to fluctuate. Snow tires provide the best performance in winter weather. They are designed to help with you stop and start with more control. This is true of snow, rain and even dry pavement in cold weather. 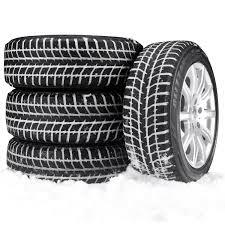 Snow tires also give you peace of mind and confidence during winter driving. Cold weather puts an added strain on your battery. Make sure the terminals are clean and fit snugly. The cables should also be free of cracks and breaks and check the charge to make sure your battery is prepared to handle a cold winter. 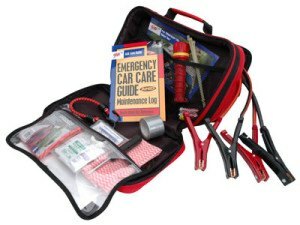 Make sure to keep an emergency kit in your vehicle. If you ever become stranded, this kit could keep you safe. The kit should include gloves, blankets or warm clothing, snacks, a first aid kit, flashlight, jumper cables, folding shovel, washer fluid, coolant etc. All of theses things will keep your vehicle running smoothly this winter. They will also give you the confidence to hit the road, no matter the weather.